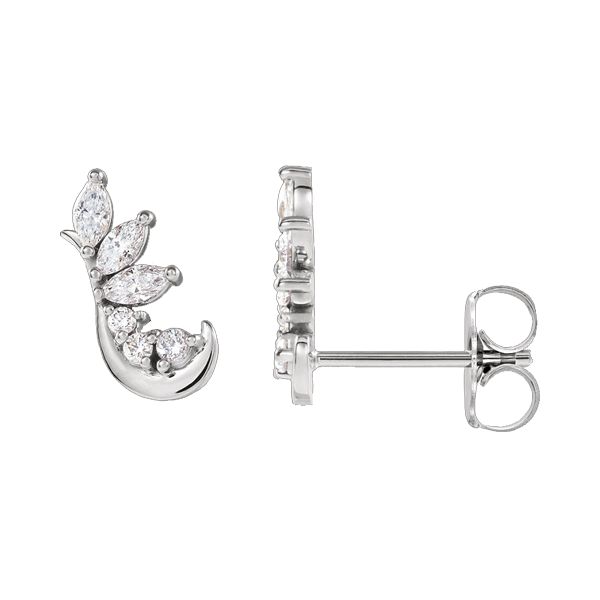 Incredible Platinum Diamond Earring climbers. 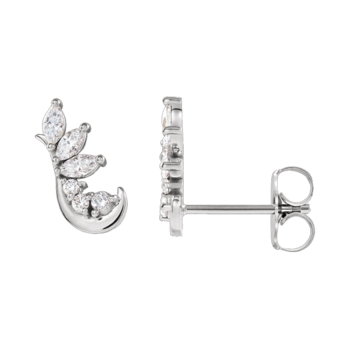 This beautiful pair of Platinum Diamond earrings hold 1/4ctw SI 2-3 clarity G-H color. 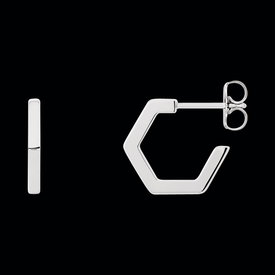 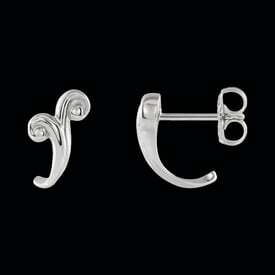 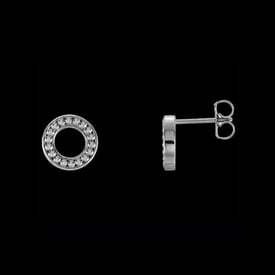 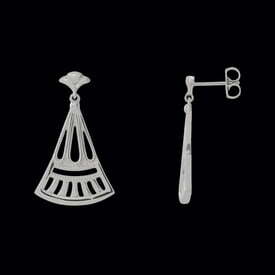 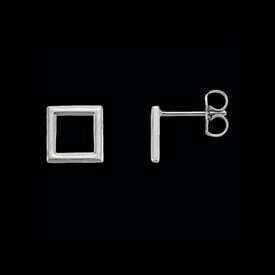 Earrings measure 8.9mm in length by 7.7mm wide.